The fun way to start phonics. Read, write and wipe! 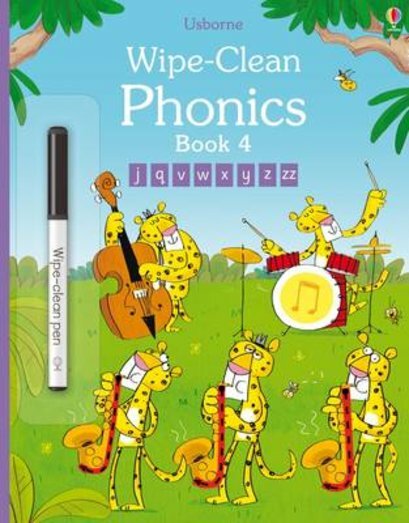 This wipe-clean phonics funbook is a really addictive way to practise phonics at home. Once you start wiping clean, you can’t stop. You’ll be having the time of your life. Circle objects that start with ‘j’, or find out how ‘z’ is different from ‘zz’. Plus – mistakes just wipe clean! What’s not to like?